Will Ryman's site-specific sculpture, "Roses" graces 10 blocks on the Park Avenue mall. Photo by Peter Mauss. Copyright 2011 Peter Mauss. 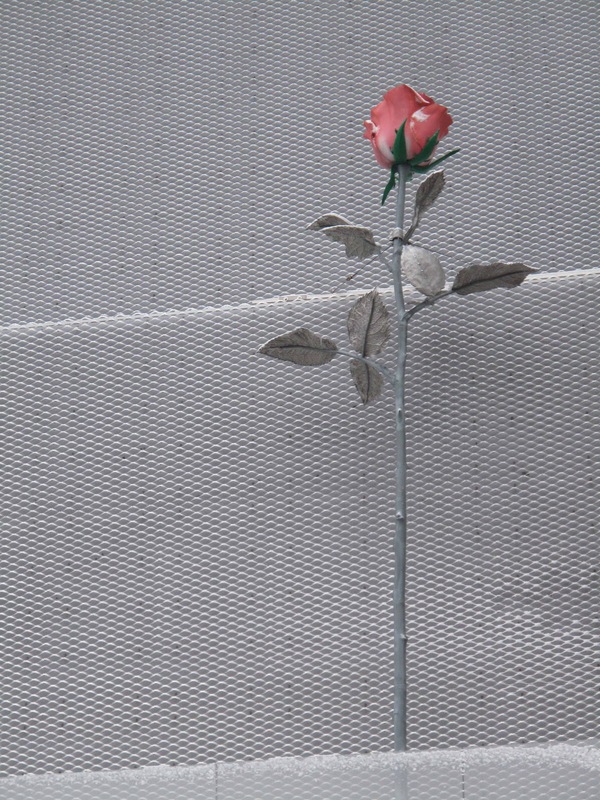 gives way to Isa Genzken's "Rose II," a twenty-eight foot tall sculpture on the outside of the museum building. "Yes, I like to look up. I don't like to look down. I love the New Museum building designed by Kazuyo Sejima and Ryue Nishizawa. 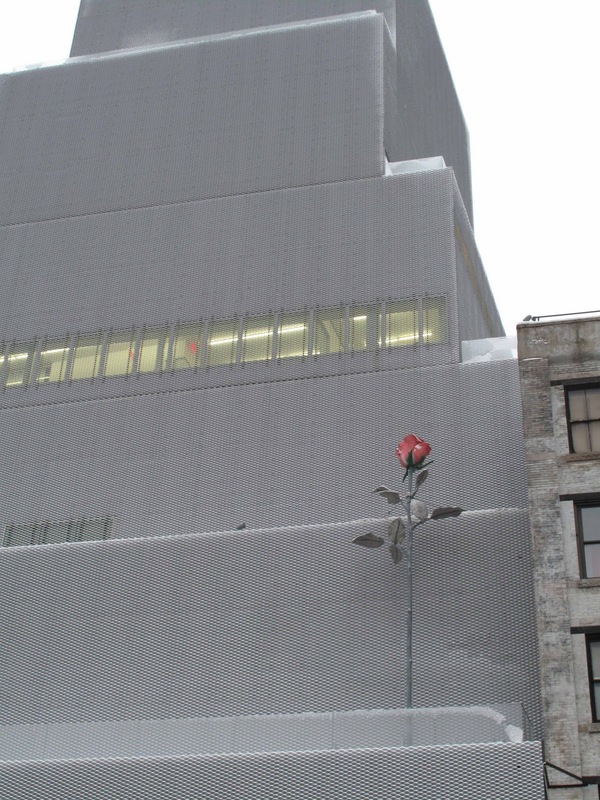 The stacked white boxes take up space, on the Bowery, in the same way a cloud takes up space in the sky; it has great presence, but fits seamlessly into its environment. It's only when you enter the building that you feel its volume. It's the exact opposite with Genzken's sculpture. It's the fact that it is out of scale that makes it interesting, especially when covered with snow. 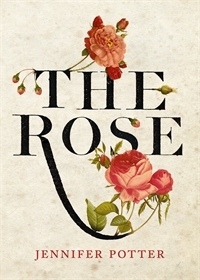 In addition, Jennifer Potter's new book, The Rose, has just been published. Potter gives us an explanation for the title of Umberto Eco's The Name of the Rose. 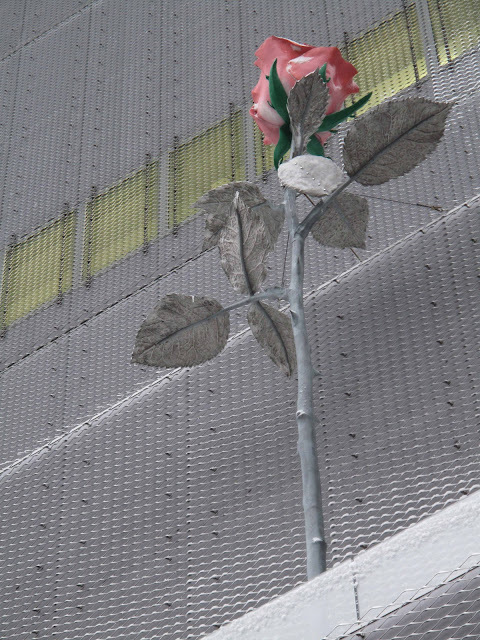 Riffing on Gertrude Stein's, "Rose is a rose is a rose," Eco's title references the rose as a symbol so rich in meaning that it now means everything and nothing. Jennifer Potter might disagree. 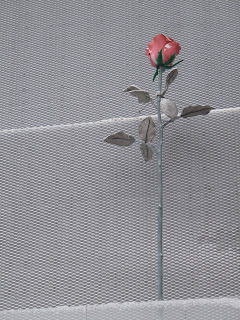 In The Rose, she has found over 500 pages of meaning. 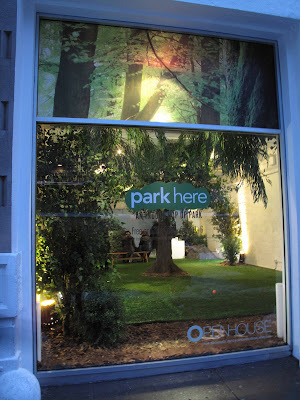 Openhouse Gallery on Mulberry Street, has created a commercial space called Park Here. It's a good walk by. If you like astro-turf, plasticine trees, facsimile picnic tables, fake rocks, you may enjoy getting in from the cold at the pop-up park. I prefer being out in the snow. 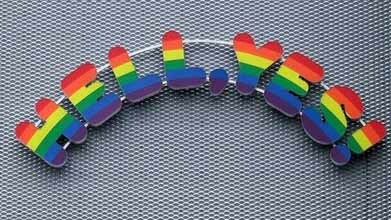 "As many vowelsas a New York cab driver"
Gotta Have It!Gotta Get it!